My question has to do with clarification of the communications issue. The last time I asked about this I was chastised for being concerned about such a mundane issue, but I think it's important if it's the only way we humans that might survive can possibly communicate with each other. Derrick, maybe you know of some ZT or Troubled-Times link that has more info on this that I can't find, but ZT has been explicit that ONLY short-wave radio communication will be possible (other than smoke-signals; don't laugh, it might come to that!). Are CB radios and FRS/GMRS usable at all, even if only for short distances? Is it only the 3MHz - 30MHz range that works, or is that the only range the 'angels work in'? We have advised those serious about communications in the Aftertime to focus on short wave radio which is today the emergency communication mode of choice. Governments, worldwide, use short wave radio in emergencies because of its durability and ability to operate out in the field, with only a crank box to generate electricity. Short wave of course includes CB or Ham radios, which are just alternate names and operate in the high frequency range as does short wave. CB, i.e. citizens band, states that these radio frequencies are in the hands of the common man, and Ham radio states that amateurs use these frequencies. Short wave does not require extremely high towers and high voltage equipment, thus its ability to function during emergencies. The grid might go down, but crank electric transmitter/receivers are used by the military to support short wave in the field. High towers might topple during the pole shift, but short wave has the ability to transmit from hill top to hill top, from one short wave user to another, and to bounce off the ionosphere or even the Moon if conditions are right. More than voice can be communicated if neighbors are prepared to transmit packets of digital information, from PC to PC, so that email or even crude graphics could be transmitted. Packet relay requires that the ability to transmit digital packets exists from start to end point, with any boost points along the way likewise having this facility. When we stated that angels will on occasion assist in getting the messages to their destination we were not stating any MHz range restrictions! Obviously, if a large area were under the control of highly Service-to-Other leaders and were able to support a radio station operating under am/fm frequencies, this would not be exempt from assistance. This setup is unlikely, however, given than any government enclaves struggling to reassert themselves as the governing body would likely be the only ones in the region to have the voltage and equipment for such a setup. Even if survivors were to establish a station, it would be more easily detected than short wave setups, so that looting gangs could hone in on the survival community. Short wave, used in short bursts, does not support that type of tracking. For southern Puget Sound, during the hour of Pole Shift, the water level will rise due to Pacific compressing. It appears some locations will not be swept by pacific shift "tsunamis" due to the Olympic mountains, but will be subject to much higher water level and tides/currents. 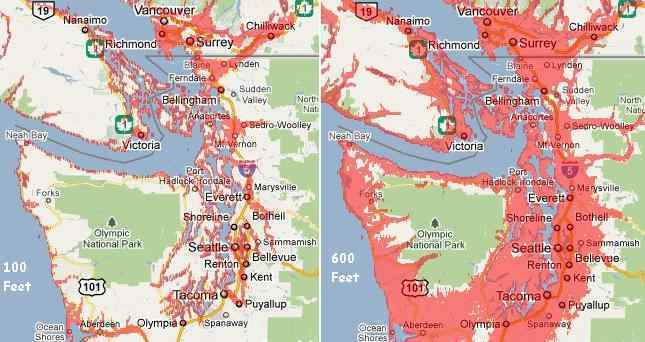 Can the Zetas give guidance on how high above current sea level southern Puget Sound water level will rise in the hours during/following the pole shift? The answer may exclude or comment on local areas of tidal bore. I looked through all discussions here at Ning chat and at Zetatalk but can't find some information about Iceland. I know that during the last event of the 7 of 10 scenarios, the Atlantic rift will be teared and that causes the EU Tsunami. So what will happen to island during that time? 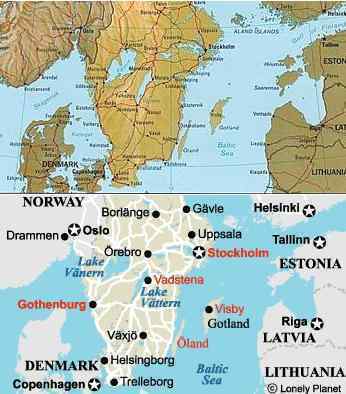 Iceland is located directly on the North Atlantic fault line, so is the whole country going to be split in pieces? Iceland has been formed from volcanic rock, over the eons. This is not a violent birth, as the stretch zone just opens up, creating a crevasse. In the case of Iceland, which straddles the border of two large plates, the crevasse fills promptly with magma, which hardens. It does not split into pieces, it grows larger, thus. One can see this in the nature of the rock. Those nervous about this chasm should move away from the plate borders for the duration of the pole shift, moving back only after the magma has cooled. I would like to ask the Zetas whether the Belorussian Establishment (ex. the President and nearest circle) knowns about the Earth changes and the Pole Shift? And if they know, are there any preparation efforts here in Belarus? Any info would be highly appreciated. After Roswell, when MJ12 learned of the pending approach of Planet X, only the heads of the big power countries (US, Russia, Britain, etc) were informed, as were the very wealthy who were also members of MJ12. A national security gag order was issued to cover those who might become aware of the presence of Planet X - astronomers or members of NASA. This was the case until late 2003, when due to the occasional dramatic views of the Second Sun, Bush was forced to inform heads of state around the world. Intimidation and bribery ensured these heads of state would not blab, and in addition they were told that the passage would not be catastrophic, as panic in the public was the larger danger. If those aware of the pending passage after Roswell was the bullseye, and NASA and the astronomical community the first ring around the bullseye, and the heads of state officially informed in 2003 the next ring, then information continued to spread outward, officially or unofficially, in many directions. The number of people officially informed has expanded to include various members of congress or parliament in various countries, talking heads in the media, the weathermen, scientists, pilots, and almost anyone else who might encounter evidence of Planet X or be questioned by the public. These individuals are routinely told that it is a national security issue, to avoid panic, and as with the heads of state in 2003 that nothing catastrophic is expected to happen to the Earth. Those aware unofficially, by rumor, have become countless. If those who learn of the pending passage and presence of Planet X are routinely aware that this is considered a national security matter, and that a gag order exists, there is a divergence of opinion on how to proceed. 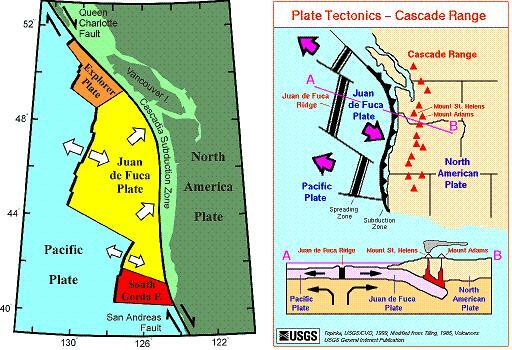 Most do some research and consider their personal safety, and based on geological records and prophecy many take steps. John Moore reports that those in the Navy are flocking to the Ozarks for retirement, and it is rumored that NASA members are known to have plans for domed communities in the US southwest. Most informed either officially or unofficially assume that government announcements will be made, when the time comes, the public warned. Heads of state and their government bodies have a different worry, as a short Internet search brings up information about pending tidal waves, volcanic gloom, and the possibility that parts of the globe will sink like Atlantis. The fact that earthquakes are on the increase and volcanoes are awakening is easily ascertained. Crop shortages, worldwide, are certainly a reality. Plans are made, depending upon the resources and conscience of a given country's governing body, and these plans vary immensely. But at present, all plans call for a continuing cover-up. Can the Zetas say whether be in the near future, a powerful volcanic eruption similar to the Icelandic or Krakatoa, or Santorini without specifying the date or the volcano itself, which would cause chaos? [and from another] I have a question about the Thera eruption roughly 1650 B.C. Scientists rate it as colossal and exceptional. Exactly when did this huge eruption happen? Was it before, during or after the last pole shift? How is it related to the Jewish Exodus? Can we expect a similar volcanic eruption during the coming pole shift somewhere in the world? Man does not have an exact date for the Thera eruption, nor for the time of the Jewish Exodus. Record keeping stopped during the last pole shift, not to be resumed for hundreds of years. Both occurred during the last pole shift. Will there be massive volcanic eruptions during this forthcoming pole shift? Absolutely. We have stated that a super volcano, such as Yellowstone has been in the past, will not occur. Thera is an example of the force that can be expected in those areas subject to sudden subduction, such as the west coast of N America, the Andes, the Aleutian Islands and the Kamchatka peninsula, and Japan. We have explained that Hawaii can expect oozing volcanoes due to folding rock layers, New Zealand an eased response due to the lifting of the plate, and Iceland and the Middle East relief due to these areas undergoing a stretch during the pole shift. Iceland erupted centuries ago, creating havoc in Euope. Krakatoa had a horrific eruption in 1882. Where Iceland will be in a stretch, experiencing relief for the pressure under her volcanoes, and Indonesia will be under water in the main at the hour of the pole shift and thus creating hot seas rather than volcanic dust, their recent eruptions are examples of what mankind can expect. We have stated that the volcanic gloom will last for 25 years, at a diminishing rate, and this is the reason for this prediction. In the aftertime, should we try to be invisible to others, and keep an extremely low profile, or be clearly visible, try to coordinate survivors and help them - if you are 25 mi in plain site from a major city. If it is better to keep a low profile, and not be seen (if you are near a big city), how long should you have to remain out of sight? Between govt looking for survivors and crazy desperate people trying to survive, it seems obvious you would want to keep out of sight... but for how long? Also, what will the govt do with survivors they find, if they find you? Thank you so much in advance. If these questions have already been answered, can you direct me to the locations on ZT? We have stated that the best case scenario for survival communities is to be in a remote area, rural, out of the migration paths, and where established gardening and flock and herd keeping practices are in place. The worst case scenarios are being in a large city where mass starvation will occur or near government or military installations where confiscation and forced labor can occur. There is no absolute guideline which can be applied in this regard. Due to the terrain, it may be that an area close to a large city is safe! There may be ravines, bridges dropped, rivers changing course or widening, so that even on foot survivors in the city could not make their way to that particular locale. There may be survivors in cities who are, for whatever reason, unable to leave the city before the pole shift, who have a route established through the sewers and out along dry river beds and thence into the country. There are countless possibilities, too many to list. Migration paths can be assumed from large cities to the country, just as they can be assumed in some countries. We have stated that those in Portugal and Morocco should anticipate migrants from Europe trying to cross over to Africa. Egypt can assume the same, as they will be the closest thing to a land bridge for those in the Middle East attempting to get to Africa. Clearly anyone living near a city can expect a deluge of refugees, a steady stream for months, to pass by or through their site. The exception would be if the site near the city was isolated by terrain so that the migrant would have to literally have mountain climbing skills in order to pass through the site. The risk of migrants diminishes, the greater the distance from the city. Even the injured can walk 5 miles a day, and if driven by hunger can walk hundreds of miles. What else are they to do? Those given to depression or overwhelmed with infection will sit down and die, but those who are young and strong will persist. The first instinct of many when hearing of the pending pole shift is to create a safe place where they live. They hear our warnings about travel restrictions and worry about being able to travel to a remote area when the time comes. They have obligations where they live, and are unwilling or unable to relocate to a rural area, so plan to continue where they live for as long as possible, even up and into the last weeks. Not being willing, or being unable to establish a second homestead, they thus plan to live after the pole shift in this same locale, which is usually a suburban setting. How will the suburbs fare after the pole shift? If the city is small, and the suburbs disbursed, it is possible for survival communities to spring up and flourish, planting gardens and eventually securing chickens or setting up fish ponds. But if the city is large, or if other complications such as government installations are in the vicinity, any budding survival community in the suburbs will be consumed so often it will not succeed. It takes little to buy a few acres in the country, and little to stock it with building material to establish a homestead after the pole shift. DO this, and plan to be there well before the last weeks. Clinging to the cities with all the conveniences this offers is not the long-term solution. As we know that there are locs (such as Texas, the Baltic countries) with coastal lines where the tidal wave of the pole shift will be above than 500-600 foot and thus people should be located further than 100 mile from a coastal line and above than 200 foot above sea level, i.e. frames of the minimum rule are increased. My Q thus is, the minimum rule to locate 100 mile from a coastal line and 200 foot above sea level is applicable for north lands of Russia, i.e. the Kola Penninsula? Northern Russia, including the Kola Peninsula, are not lands subject to tidal bore. They are flat, without the rapid rise into high lands that encourage tidal bore. They likewise are not going to receive a funneled tidal wave such as Texas will receive, coming from the Gulf of Mexico. The Gulf of Mexico tide will be pushed aside by the Appalachia Mountains, and in addition will be water under pressure because the S American Plate will be pushing over the Caribbean Plate, thus compressing the Gulf and thus increasing the height of the tide rushing against Texas. The Arctic has none of that. 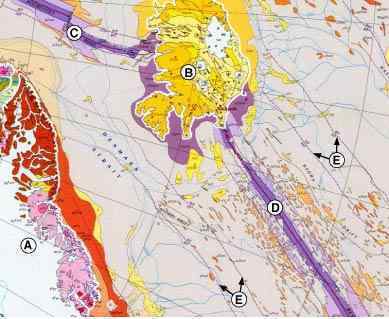 The great N American Plate and the great Eurasian Plate are locked at the Arctic, neither overriding the other. However, because water has pooled at the Arctic during rotation stoppage, to an additional dept of 20 feet, and because the lands of northern Russia and the Kola Penninsula are flat in the main, additional precautions should be taken. Thus the slosh is likely to be at the 520 foot level, so doubling the 100-mile-inland-and-200-foot-up rule would be advised. Those along the coastlines will in any case have to move shortly, as the lowlands of northern Russia will flood to the 675 foot level. Head to the highlands, without delay. It would appear that Obama is walking into the lion's den, just ahead of the 7 of 10 catastrophe we have predicted for Indonesia. The surrounding countries - India, Japan, Korea - would be expected by the US to offer aid to a drowning Indonesia, as they, per the ZetaTalk prediction, would not be directly affected by the dropping tongue holding Indonesia. Taiwan and the Philippines, as well as the highlands of Asia, could not escape the refugees, as they are immediate neighbors. This trip is billed as an economic trip, but has as its basis something quite different. During any global catastrophe, the US is asked to assist. Though the requests go out to the world, pleas for assistance, the US has always been deemed the primary helping hand, sending supplies, sending the US military with ships, and often providing immigration visas to refugees. Obama set the tone during the Haiti crisis a couple years ago, making it clear that immigration would not be facilitated for those affected though other aid was delivered. We have stated that ZetaTalk is known and read by the elite - those in political power and the very wealthy. ZetaTalk accuracy is known, and respected. What would happen in the event of catastrophe's such as we have described for the 7 of 10? This question in fact has been posed to Obama, behind closed doors. Allies in Asia have raised the issue with Obama's aids, in face-to-face meetings. The best defense against demands that cannot be met is often a strong offense, and this is the crux of the trip. In the flurry of activities that go on during any such presidential trip, there will be almost endless opportunities for heads of state to meet with Obama on these issues. Frank discussion on just what the US intends to provide in the event the disaster the Zetas have described occurs. Some assistance, as with food and supplies and assistance of the US military in transporting refugees, but nothing more. Thus the 34 war ships which will linger in the region to assist with transporting drowning Indonesians should our prediction be on target. The borders of the US will not be opened to millions of refugees who seemingly have no place else to go. 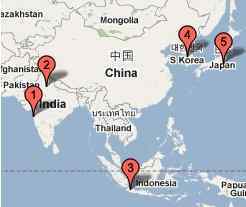 This is an Asian problem, and the countries in Asia will have to find the solution. Is it Nibiru? http://poleshift.ning.com/profiles/blogs/nibiru-on-his-way [and from another] http://www.sstd.rl.ac.uk/stereo/Documents/firstHI_Instrument_Paper_Revised_v2.pdf Each HI instrument comprises two cameras, HI-1 and HI-2, which have 20 and 70 degree fields-of-view and are off-pointed from the Sun direction by 14.0 and 53.7 degrees respectively, with their optical axes aligned in the ecliptic plane. The STEREO spacecraft were launched from Cape Canaveral Air Force Base in late-October 2006, and the HI instruments have been performing scientific observations since early 2007. The dither we have described that occurs between Planet X and the Earth, where at times Planet X will be to the right (in the line of view from the northern hemisphere) and even to the left (during the 3 days of darkness) can create confusion. As Planet X comes at the Earth in a retrograde orbit, the Earth (halted in her orbit) will most often see Planet X to the lower right hand side, more or less at the 4 o'clock position. During those times when the Earth is moving backwards in her orbit, to evade the approaching Planet X, it may appear further to the right, temporarily. In that Venus and the Dark Twin are also caught in the cup in front of Planet X, these planets may cause the Earth to bobble about at times. This changes the view from the Earth not because Planet X has moved, but because the Earth moved. In order to effect a simulation of the seasons, we may also be required to move the Earth up or down vs a vs the Sun's Ecliptic, and this too can change the view. Then there is the matter of the mankind's satellites, which are buffeted about in all the particle flows ongoing, so determining just what is being viewed at any moment is difficult. The Stereo satellites, when launched, were supposed to move out in front of and behind the Earth at a set pace that would allow them to spread apart by 45 degrees each year. Meanwhile, keeping the Earth in the center. This is what the public has been told, but these satellites were not launched to examine the Sun, but instead were intended to examine Planet X. Launched in late October, 2006 and moving apart at a pace of 22.5 degree per satellite per year, this has placed the Stereo satellites almost opposite each other by late October, 2010. At that time, the Earth was in the Fall position in her halted orbit, and has since scuttled backwards toward the August position. Thus the view from the Stereo Behind satellite cannot encompasses the earth in the narrow view from the HI-1 cameras, as it is only somewhat to the right of the satellite, out of the field of view. What is known is that the appearance of Planet X and its entourage components is different from the appearance of any planets caught by either the SOHO or Stereo satellites. Planets are an orb, reflecting light directly, where the corpus of Planet X most often appears as a cross or the Winged Globe, with a drifting tail. The Moon Swirls of Planet X are seen as a long streak or the bird-like appearance or a String of Pearls, again with a drifting tail. The appearance of the corpus of Planet X can thus be confused with one of its Moon Swirls. That said, what is captured on the recent Stereo Behind images as a moving, multifaceted cross? If one takes into consideration the real position of the Stereo satellites, vs a vs the Earth, one can see that its can indeed be a capture of the Planet X corpus, which it is! My question is about the blending of seasons. Does this apply to all places or just some? I know that members on the Ning have reported blending in their particular parts of the world, but where I live I have not yet yet experienced this. The blending of the seasons will be a phenomena that will occur during the 8 of 10 scenarios, in the time prior to the last weeks. Due to the Earth wobble, there are many phenomena in many parts of the globe which could be described as unseasonable weather. Snow in summer has occurred and is on the increase. Very warm days in the middle of winter, more than the typical winter thaw, so that fruit trees bud in winter, ruining the harvest when frost returns. But the blending of the seasons will be characterized by extreme change happening rapidly, one direction to another. What you have had up until the present is trends for more extreme weather. Imagine going from the heat of the hottest summer day to the cold of the coldest winter day, all within a day or so. That is a blending of the seasons. Without commenting on the obvious irony of Karl Rove being able to buy what he previously had to steal, and without this being a 'political question' per se, does the massive shift in power in the US Congress have the potential to affect Disclosure in any significant way? The President still has the power of the veto, but the House of Representatives has the power - even without Senate approval - to launch investigations, conduct hearings, issue subpoenas, and cut off funding. All of which appear to have the ability to substantially impact Disclosure in either a positive or negative way. You are presuming that the cover-up over the alien presence is run by Congress! It is absolutely run from the Executive Branch, and always has been. From the start, when MJ12 was formed, the secrecy was by an Executive Order. National security was the reason for the cover-up, executive agencies such as the CIA and NSA holding work sessions on whether or not the American public would react in panic. The Department of Defense is likewise under the control of the Executive Branch, covered by the early Executive Orders written to protect MJ12 from public view. All involvement of the DOD's intelligence services, so heavily involved in MJ12, likewise covered. The Air Force conducted project Blue Book, which fed the public disinformation in response to UFO sightings. It is the number of people, egos, who fear the public's anger at the decades of lies who are responsible for the continuing cover-up over the alien presence. I read carefully all the information shared in this website. I am a little bit confused about the situation of the Province of Quebec in the Aftertime. I read we will fare well during the shift with a better climate after. But when I looked at the maps prepared to forecast the new geography, it seems Quebec will remain close to the (new) north pole. The inhabitants of Quebec City will suffer from isolation after the pole shift if I well-understand too. May we have to migrate to the new south or will we be able to remain there. I am preparing myself, my family and my friends. I just bought a new house at 160 feet level. I am also a search and rescue volunteer in order to be prepared for helping the others. I'd like to do the right things because I know many of my close relations are unprepared to any change. I will ask a question on the Jewish people. Not a secret, that the congress of the USA and Bush's administration had the Jewish roots. It is hidden or is obvious - Jews. I have a list. Not a secret, as in Russia at the power people with the Jewish blood. In general, Russia, England, the USA, the European Union - everywhere it is hidden or obviously Jewish hand. Even yours Puppet Master - the Jew (you spoke about it). My question NOT about the politician. My question on the historical reasons. Let's return at the moment of last visit Annunaki and you (Zetas) will tell, they contacted to what people 3600 years ago (It Already After Sumer). Well one people to have the best scientists, doctors, writers etc. cannot so simply. Why so has developed, what for today the world copes these people? In what difference of their blood from not Jewish? Why they so piously protect cleanliness of blood? There is much resentment against the Jewish culture, which is not so much a religion as a family and social network. Much akin to the WASP (white Anglo Saxon Protestant) culture, which through country club membership and fraternity and sorority membership as well as church attendance is a social network. All cultures have these, and discriminate by race, religion, cast, wealth, and various other determinants. The Nazis used a filter of Arian blood, trying to perfect what they called a pure race by interbreeding. The cast system shows no signs of relenting in India. Mixed race children born in Asia as a result of the Vietnam Wars are routinely discriminated against in Vietnam. They are not "pure". You are one of us, or you are "them", an outsider. Given this, what creates the extreme resentment against the Jewish culture? It is due to their notable success! As with other social networks, the Jews socialize with each other, marry each other, and beyond the support families usually give to one another, the network supports the advancement of others in the Jewish culture. School tuition, job opportunities, cash to start a new business or venture - all these are readily available within the network, so that each member can reach their potential. Other social networks do not have this degree of support. Other factors that play into the Jewish culture's success are historical. The Jews, from long before the time of Moses when the Jews were slaves of the Egyptians, wandered. They were homeless, more an intellectual culture than one reliant upon brute strength. Through intermarriage, their notably high IQ was retained, and advanced by the practice of giving special status and community support to the intellectual. As is known, the Nazis used the jealousy many felt toward the Jews to create a scapegoat. Rebellion was fomenting because of Germany's loss in WW I, and Hitler needed a scapegoat to focus and divert this rebellion. It was all the fault, somehow, of the Jews, whom the public resented for their success, and thus the mass extermination program. Due to their mode of being a wandering group without a homeland, the Jews had become merchant traders, which naturally progressed to their becoming bankers. The same skills were involved, as banking is at its base a shrewd trade. What is the inherent value of this item? How can this item, when marketed to others, be increased? Traders get a piece of the action, skimming profit off the top, and thus the banking industry developed with Jews at the helm. It is no surprise then, that names like Rockefeller and Rothchild are on the roster of successful bankers of the world. The history of the Puppet Master's family trust is also well known. The Rothchild banking empire began with a single successful Jew, who as is the mode among those in the Jewish culture, brought his son's into the business. Passed down, via the male lineage, through many generations of Rothchilds, the extreme wealth accumulated through shrew business practices has amounted to what we call the Puppet Master's strength. The wealth of this family trust is off the books and not truly known as so many fronts are used. The Puppet Master's identity is also off the books and known to few. Why do bankers enjoy such influence? It is often stated that he with the gold, rules, as money buys influence. I was watching CNN this morning, and they had a reporter at a NASA installation. He was reporting on the final Discovery launch coming up. They ended up catching a security threat unfolding, with video of armed security moving through the area. CNN reported that there was a possible gunman even. A few minutes later, NASA told them it was a routine security check. CNN was clearly upset about this. They were not told about it beforehand, though NASA let them have a reporter there. Also, CNN monitors the scanners for info, and this was not described as a drill. [and from another] NASA: No Gunman at Ohio Research Facility [Nov 5] http://www.cnn.com/2010/US/11/05/ohio.nasa.center/index.html?hpt=T2 A security test at NASA's Glenn Research Center caused a brief incident Friday after unconfirmed reports of a gunman in the facility became public. There never was a gunman and no one was in danger at the 350-acre research facility next to Cleveland Hopkins International Airport in Ohio. [and from another] Fuel Leak Forces Another Launch Delay for Space Shuttle Discovery [Nov 5] http://www.fox2now.com/news/sns-ap-us-space-shuttle,0,6335210.story It's the fourth delay in a week for Discovery's mission to the International Space Station with six veteran astronauts and the first humanoid robot bound for orbit. Security exercises do not include CNN reporters on site, as it raises the kinds of questions being raised now. Security exercises are to test the reaction time and skill of the security at the installation, not to toy with the public's perceptions. NASA is having increasing problems with its personnel, some of which has spilled into the news in the past couple years. An astronaut driving across country in diapers to face an adulterous spouse in February, 2007. A scuffle over a poor evaluation of a contractor resulting in a shooting death in April, 2007. Since that time NASA has gone to extraordinary efforts to keep the mental health of their employees from the press. They have been assisted in this by national security directives, as the reason for the breakdowns is their first-hand knowledge of Planet X. NASA employees going postal are secreted away in mental institutions, under very close wraps. No contact with the outside world, including family! It is this or the other alternative, which is to be silenced, permanently. NASA employees must remain silent about the pending passage, and take great care not to reveal what they know by making personal plans for their or their families safety. Being assigned to the ISS or to the shuttle is considered a suicide mission. Debris in the tail of Planet X is slinging around up there, and those forced to stay there are begging to return. This is the reason for the "first humanoid robot" being included on the Discovery's launch that has been seemingly perpetually aborted. Given all that, what occurred within camera range of the CNN reporters? Although the reason for the launch delays are cited as technical problems, the real reason is that those involved in the launch, i.e those who would be on the shuttle of whose support is required for a successful launch, are not stable! Personnel have to be swapped out, and the whole launch routine practiced yet again. The gunman had learned he was going to be part of the launch team, and considered this the equivalent of being asked to put a gun to a friend's head.